This dish isn’t difficult, but it does require a bit of timing. …until they are tender and nicely browned. Turn off the heat, and turn it back on for a bit just before you are ready to serve to heat them back up. 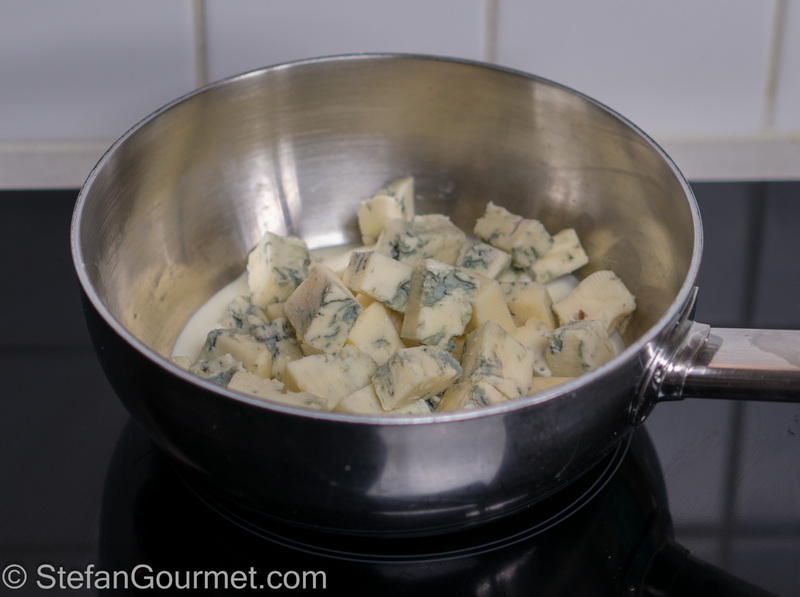 …until the blue cheese has melted, stirring now and then. Make sure that the sauce won’t boil, as that would separate it. Taste and adjust the seasoning with salt and freshly ground black pepper. 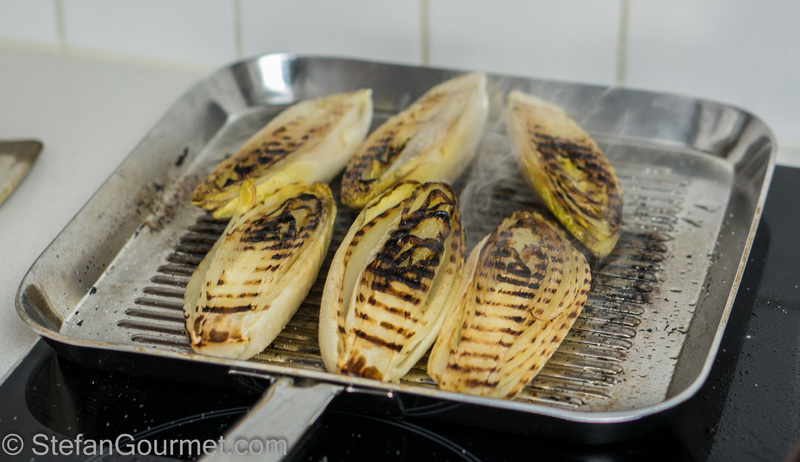 Meanwhile, remove any damaged outer leaves from the witlof and wash and dry them on the outside. 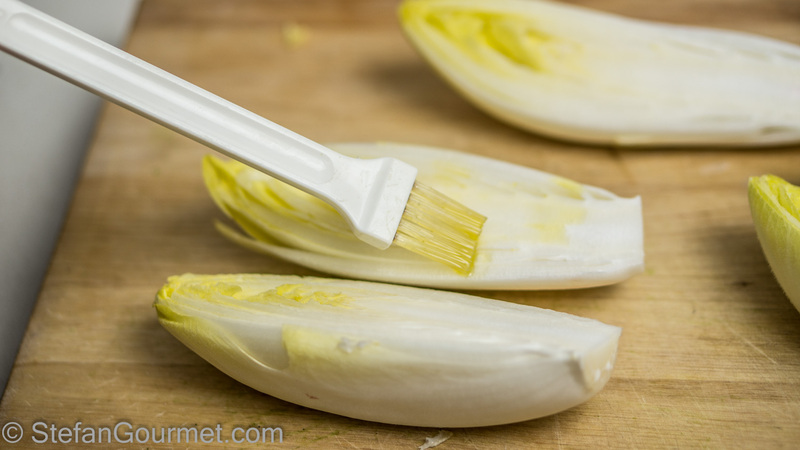 Brush them all around with olive oil. 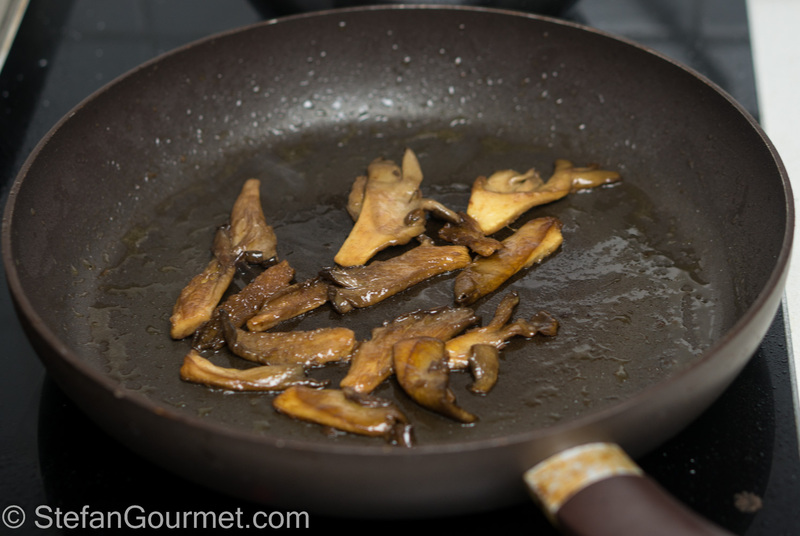 Heat up a griddle pan and cook the witlof over medium high heat for about 5 minutes. 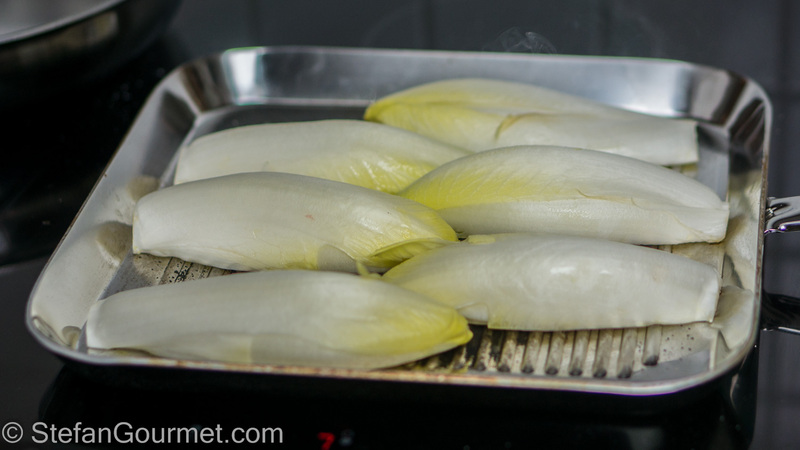 Then turn them over and cook them on the other side for about 5 minutes as well, or until they are barely tender and have nice grill marks on both sides. 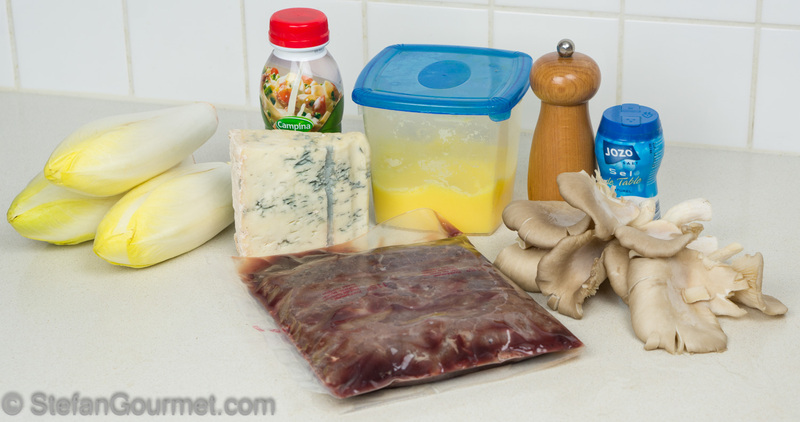 Meanwhile, cook the steak to your liking and make sure the sauce and mushrooms are hot. 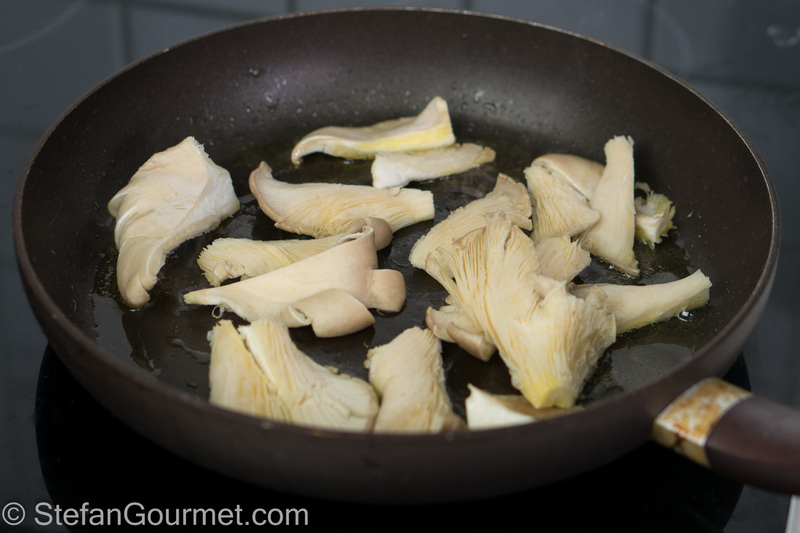 Season the mushrooms with salt and freshly ground black pepper just before serving. For additional flavor, I deglazed the pan used for searing the steak with the sous-vide juices, added the mushrooms (which were already cooked), and reduced. 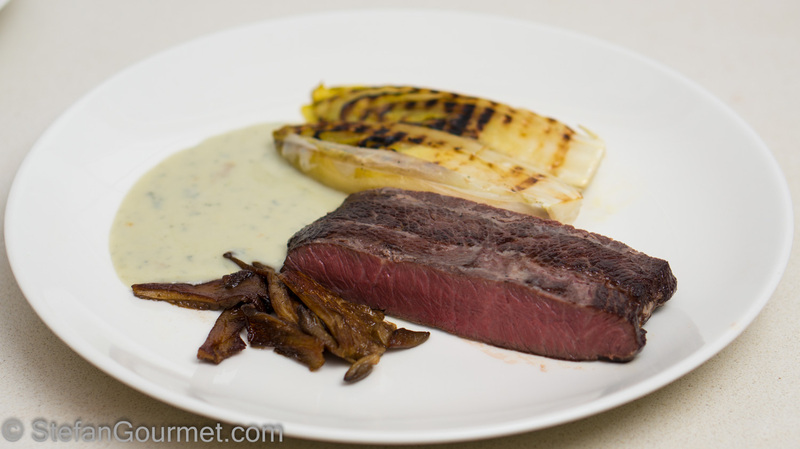 When the steak and witlof are cooked to perfection, serve everything on preheated plates. Season the witlof with salt. This is great with a vintage port. 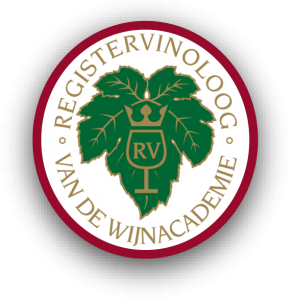 Keep in mind that most vintage ports need at least 20 years before they are ready to drink, although they can also be enjoyed in their infancy. If you think port is too sweet, try and amarone. 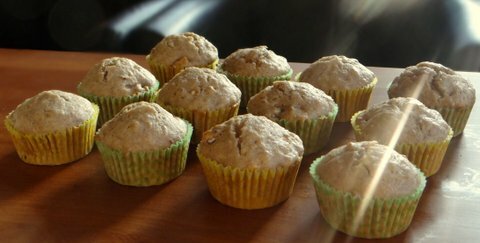 Banana nut muffins are yummy and so easy to make. Just mix the dry ingredients and the wet ingredients separately, then fold them together until only just mixed, and bake until a tester comes out clean. 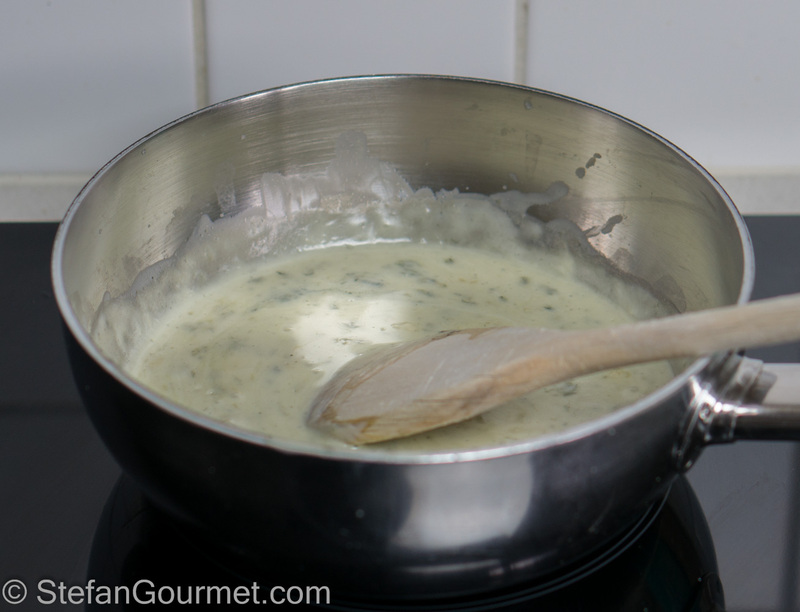 Ik maak vaker een saus met Gorgonzola en room, maar ik fruit dan eerst nog wat knoflook en salie in in klontje boter. En natuurlijk proeven voor zout en peper. Met salie en knoflook lijkt me een lekkere variatie, dank voor de suggestie. Zout en peper was ik überhaupt vergeten te vermelden, heb ik zojuist toegevoegd (ook op de witlof en oesterzwammen). Als we dan toch aan het corrigeren zijn: de olijfolie voor de witlof staat niet op de foto. Maar genoeg gezeurd. Ik lees je berichten met veel plezier. Ik denk dat ons beider koken veel overeenkomsten vertoond. As always – this looks fabulous Stefan !! Your friend is very lucky to have such a wonderful friend in you! I have prepared steak with a red wine, mushroom and blue cheese sauce. I like the idea of using port and your explanation behind it. The steak looks perfectly cooked to temperature. Happy birthday to your friend – lucky guy! !